Bring your poker face and win some cash! 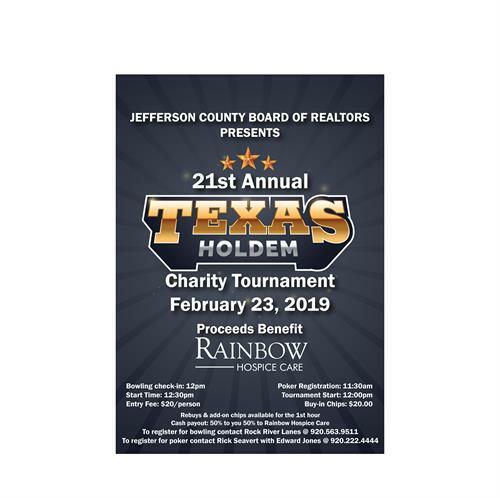 Jefferson County Board of Realtors presents 21st Annual Texas Hold'em Charity Tournament. Proceeds benefit Rainbow Hospice Care. Rebuys & Add-on chips available for the first hour. Cash payout 50% to you 50% to Rainbow Hospice Care. To register for poker contact Rick Seavert @ (920)-222-4444.